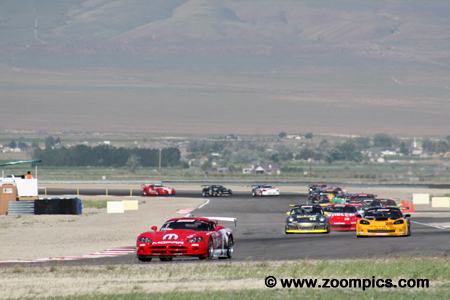 The first lap of round three and twenty-six GT competitors follow pole-sitter Tommy Archer in the No. 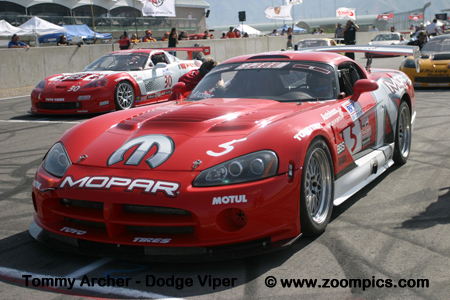 5 Mopar Dodge Viper. 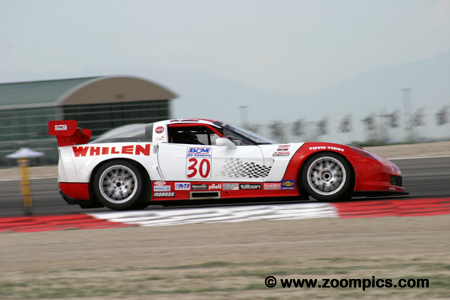 During the fifty-minute race the GT cars would complete 14-laps around Miller Motorsports Park’s twenty-five turn 4.5-mile long road course. Tommy Archer led flag-to-flag in his Dodge Viper but it was not an easy win. At the start, he was threatened by second fastest qualifier and last year’s winner Lou Gigliotti in a Chevrolet Corvette. Next to challenge Archer was the Porsche driven Randy Pobst but he spun on lap five. Archer went on to collect his first win of the season and seventh of his World Challenge career. Last year’s GT class winner, Lou Gigliotti, started third and finished second – just 0.577-seconds behind race winner Tommy Archer. Gigliotti drove the No. 28 LG ProLong Tube Headers Chevrolet Corvette. He jumped into second at the start and attempted an unsuccessful pass on the race leader, Tommy Archer. On lap-3, he was passed by Randy Pobst but Pobst’s spin two laps later elevated Gigliotti to second. 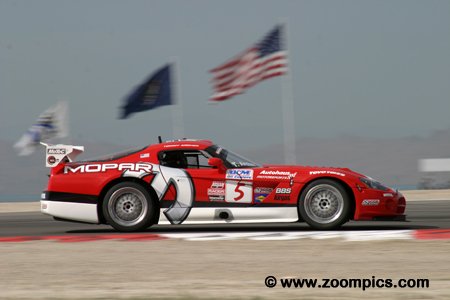 LG Motorsports entered three Chevrolet Corvettes in the 2007 World Challenge series for drivers – Lou Gigliotti, Doug Peterson and Tomy Drissi. Driving the No. 87 Corvette was Doug Peterson. Peterson started the season with a pole at Sebring and finished tenth at Long Beach. At Miller Motorsports Park he qualified fourth and grabbed the final spot on the podium. 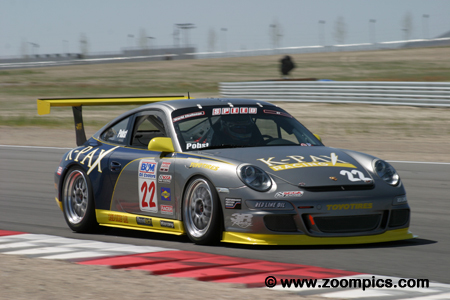 Randy Pobst qualified the K-PAX Porsche 911 GT3 fifth. Pobst jumped to third at the start and by lap-3 was second after a pass on Lou Gigliotti - this earned him the B&M Oil Coolers Coolest Move of the Race. Not done yet, Pobst attempted the same pass two laps later on Tommy Archer but he spun. Pobst regrouped and finished fourth - he was credited with the fastest race lap. Bob Woodhouse came out of retirement and was making his first start since the 2006 season finale at Laguna Seca. Woodhouse started fifteenth in the No. 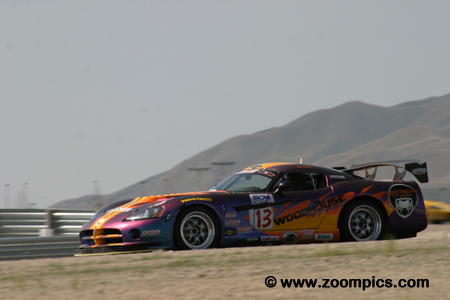 13 Dodge Viper but passed five cars on the first lap. 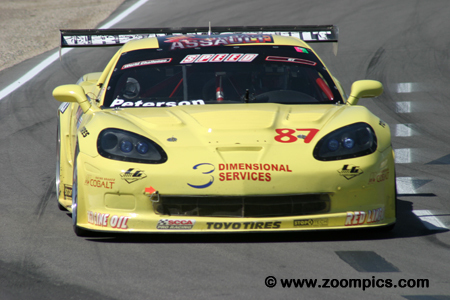 On lap-11 he made contact with Tomy Drissi in a Chevrolet Corvette which did not affect his progress. By the end of the race he had passed two more cars and finished eighth. Jim Haughey entered two Porsche 911 GT3s. The K-PAX cars were driven by Randy Pobst and Michael Galati. Galati drove the No. 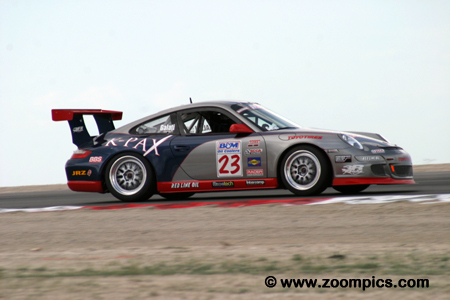 23 Porsche and at Miller Motorsports Park he started sixth and finished fifth. 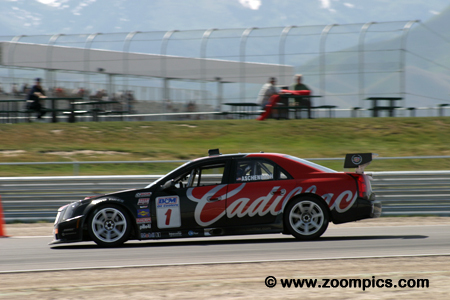 With top five results in the first three rounds he left Utah third in the Drivers’ Championship. 2006 World Challenge GT Champion, Lawson Aschenbach switched brands leaving his Porsche ride to join Team Cadillac. He started the defence of his title with a second at Sebring. The second round at Long Beach Aschenback qualified eighth but finished eleventh. 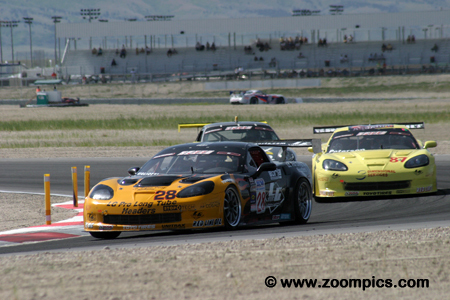 Miller Motorsports Park saw an improvement as he was sixth at the checkered flag. Eric Curran left the Touring Car class and joined Whelen Engineering driving a Covette. Curran won the first round at Sebring and followed it up with a second victory at Long Beach. After qualifying second at Miller Motorsports Park, he looked set to complete the ‘Hat Trick’. However, this was not the case as he retired with overheating problems. Despite this result, he still led the drivers standing based on his wins in the first two events.